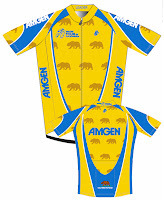 Hincapie is the official manufacturer of the jerseys worn by the category leaders of the Amgen Tour of California. Does the name sound familiar? 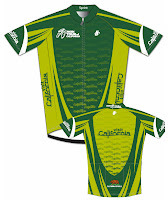 Of course it does, yes the company is owned and managed by the Hincapie family. While George Hincapies is out racing bikes for BMC, his older brother Rich Hincapie is home in Greenville, South Carolina, overseeing manufacturing operations. 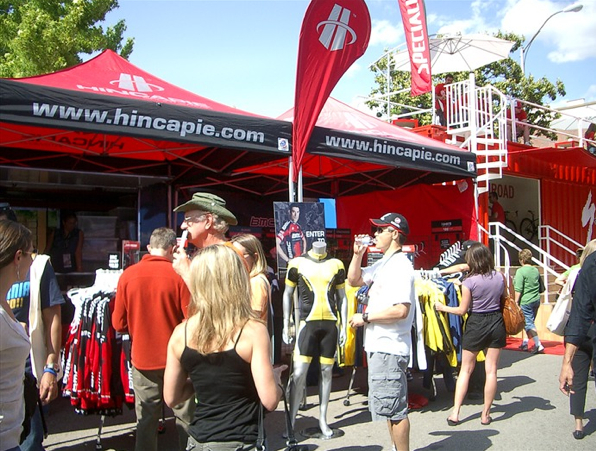 Hincapie sells retail items including clothing, accessories and bags, but also specializes in custom club and team clothing. They make the clothing for Team BMC - George's team. And I gotta say Thor Hushovd, Tejay Van Garderen, and Philippe Gilbert look much more serious this year in their new BMC team clothing. George's father, Ricardo Hincapie, moved to the United States from Columbia in 1960. George's first race win was at the Skippy Peanut Butter Classic in 1983. 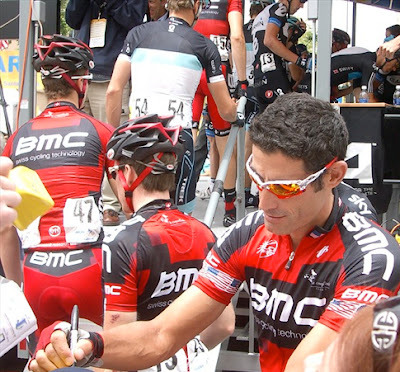 Rich Hincapie started Hincapie Sports in 1998. The Hincapie factory in Medellin, Colombia, has been run by George and Rich’s aunt and uncle, Marie and Jorge Hincapie since 2003. Hincapie also outfits the Columbian South American team Gobernación de Antioquia - Antioquia Indeportes. 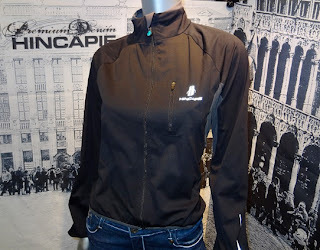 George's wife, Mélanie (Simonneau) Hincapie, can be seen modeling some of the women's line of Hincapie clothing. Mélanie's career was modeling at the time she met George at the 2003 Tour de France as a podium girl (hôtesse Crédit Lyonnais). If George rides his 17th Tour of Flanders in 2012, he will set the record for most De Rondes raced, 2012 also marks his 17th Tour de France. 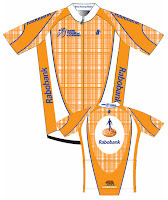 George has competed in 5 Olympic games, and has been U.S. National Road Champion 3 times. The Hincapie crew takes to the road every year and sets up shop in the Expo area (festival) at the Amgen Tour of California. Traveling from stage to stage, their booth is always one of the most popular at the event. 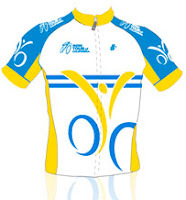 After they retire from racing some ex-racers become Directeur sportifs, some sports announcers, others tour guides, some work for industry sponsors or regulatory agencies. George Hincapie is part of a family-owned clothing business started well before he ever retired from racing. Smart. He and his family will be part of this sport for generations to come. Buy Hincapie cycling apparel (really great jackets!). In fact if you look back at pictures of the 2010 Tour of Flanders you'll notice Lance Armstrong and some of his teammates wearing Hincapie rain jackets. The inside story is that on the morning of the race, in pouring rain, Armstrong went to see his friend to ask for the jackets. 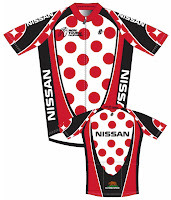 Hincapie sold Armstrong the jackets for retail.